Saturday’s UFC 201 card will no longer feature a compelling and pivotal flyweight bout between Ian McCall and Justin Scoggins. 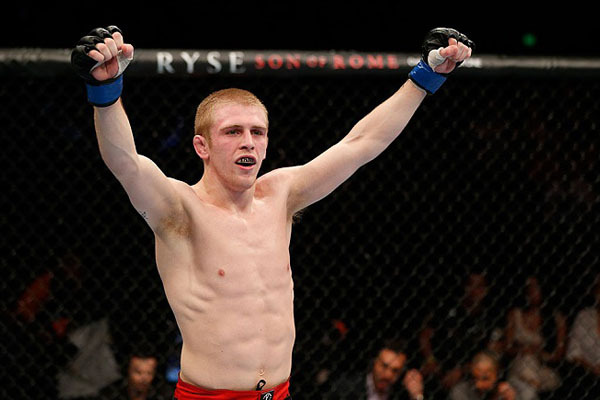 Recently the promotion announced that Scoggins has incurred issues while attempting to make weight, and will no longer compete on the card. McCall will reportedly continue to cut weigh, so he’s available as an alternate for the flyweight bout between Fredy Serrano and Ryan Benoit. The 24 year-old Scoggins is coming off a decision win over Ray Borg in February. McCall, meanwhile, hasn’t fought since January, 2015, when he was defeated by John Lineker.